Here’s my first attempt at a fondant, or cream. I hadn’t made them before because they are quite old-fashioned – and they’re not everyone’s cup of tea. However, they are mine. I love them. 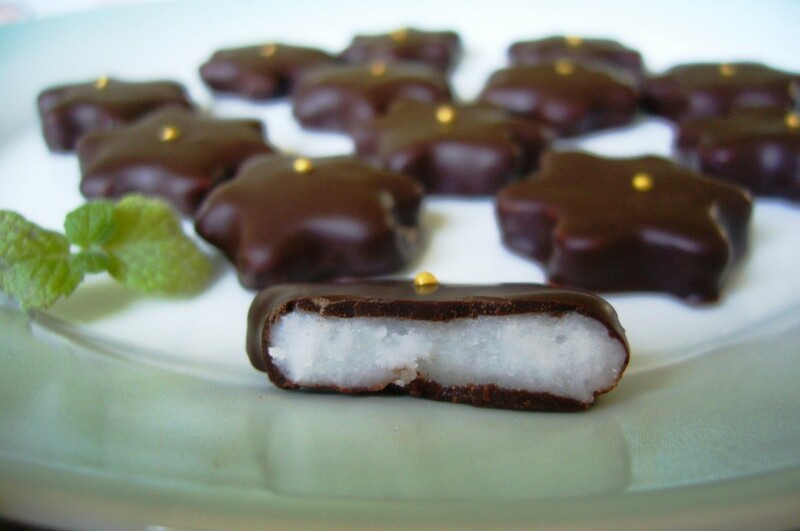 I grew up on Bendick’s mint fondants as a child (for special treats), and so they’re a firm favourite. I’ve updated the traditional mint cream, with a pretty flower shape and a tiny golden bead on top to add a touch of luxury and shine.